After graduating from Dowel J. Howard Specializing in Building Trades in 1976, Denny opened a construction business that he operated as a general contractor until 1990 when he started Mid-Atlantic ICF which he still runs today. 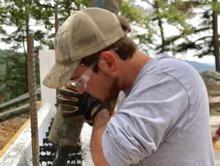 Cody started working with insulated concrete forms when he was just old enough to drag a 6 pound block around. 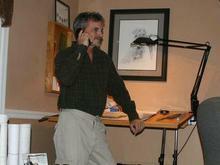 He has over 25 years experience with the product and is in charge of the field operations. Mid-Atlantic ICF is one of the longest continuous run ICF Contractors in the United States, opening in 1990 we have erected over 100 insulated concrete structures throughout the Mid-Atlantic area from small cabins on mountain tops to Schools and Industrial buildings. We work with home owner builders and professional contractors and architects, helping in design, engineering and erection of the product. to not just doing it but "doing it right". Keeping our employers first and foremost. *****As a construction project coordinator I had the distinct pleasure to work with Denny at Mid-Atlantic ICF on a project in WV a few years ago. The workmanship was top rate and their foreman worked closely with our superintendent to make the job go smoothly. There were plenty of challenges with weather but they stuck with us and we ended up with a great project and a happy owner. 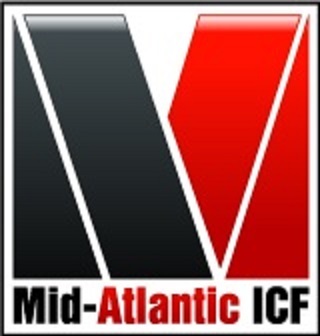 I would highly recommend Mid-Atlantic ICF for any commercial job and I am sure they would do equally as well on residential. Thanks Denny and crew! *****If it were possible to give some one more than 5 stars for conscientious, detail-oriented, no-surprises, straight-up quality service, Mid-Atlantic ICF would get them. I initially found Mid-Atlantic through a web search of ICF contractors in northern Virginia and was surprised that Mid-Atlantic was located in Winchester, an hour's drive from my very rural community. Still unsure if he would even consider the job, I contacted the owner, Denny Seabright, for information and within 24 hours I had 4 emails with various bits of useful information including references for work he and his crew had done in my area - it turns out they were both neighbors! After seeing the work he did and talking with the general contractor who oversaw both jobs in my area, I was sold. I have not been disappointed. Mid-Atlantic gave me a very solid foundation - it's where I'll head with a book and flashlight in the event of a tornado or national emergency.